Eliot Peper is pioneering the idea of startup fiction and has just released his second novel in the Uncommon Stock series. This week we get an exclusive behind-the-scenes view into the life of this author and his inspirations and motivations. He worked in tech and startups for quite a while. He is a voracious reader and reads all across the spectrum, from biographies to crazy science fiction. He read a lot of business books, by leading CEO’s and Investors that shared a lot of knowledge and best practices, but felt there wasn’t much fiction. There was something missing there. He found a need. He noticed you could fill libraries with non-fiction books, both good and bad. Fiction allows you to get inside the head, and experience life alongside the character. 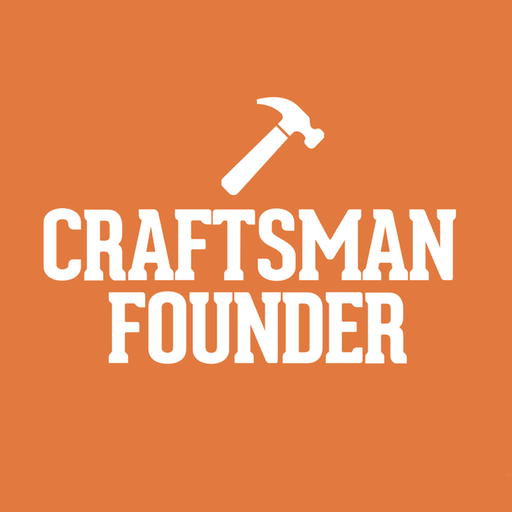 All of the Craftsman Founders know that startups are ripe with drama. It is a very rich texture on canvas on which to paint, he thought it would be such a perfect setting for adventure. Eliot agrees. There are shows and books and so many more stories coming out of this world than ever before. He has heard producers are really hungry for Silicon Valley stories. Imaging Steve Jobs biography, it is open to such a wide variety of readership. The protagonist, Mara, is very different from Eliot. She lives in Colorado. Eliot has never lived in Colorado. Lucas asks if things happened to Eliot like they did for Mara? Eliot tells us that every character is, in the middle of fiction and an amalgamation of all the people he has met and what’s inside himself. He never lived in Colorado but did in Boulder. Eliot spent 6 or 7 years working in the startup world in San diego. They are both like satellite startup echo systems to Silicon Valley. He learned what it is like to startup a company and raise money in a place that isn’t the tech centre of the universe. He found this very appealing to the story. Eliot and his wife took a 9 month sabbatical. They traveled all over the world, climbed mountains in the Himalaya and traveled all over. His wife took a job in The Bay Area of San Francisco, so they moved back. He grew up there so he knows it well. It makes him happy to be an author. The Bay Area is going through an economic boom in technology now. It is very exciting and so many good things are happening. Eliot started working in startups in the recession, so now it seems like everybody he meets has a startup. Being an author is different now. What a huge question, Eliot could fill more than one conversation. He uses beta readers on versions of the book as he tried to make it the best story for his readers. Lucas helped him and his advice was implemented. There was no timeline for his first book, but he had readers emailing him asking when book two was going to be released. He made his own deadlines, and went to the publisher and told them when he wanted it done by. He gave himself about 4 months. He got married in June, so it was really about three months. Lucas tells us that Stephen King says, you should write a book in three months. It may seem like a short time to new writers, but it can be done. They talk about National Novel Writing Month, where people write a novel in a month. Eliot compares it to a mud run! You sign up, do your training and everyone gets together and runs through the mud. Alot of people have a concept that you have to work on a book for a long time for it to be good. Some authors take 10 years to write a book. A misconception is that a writer spends all day everyday writing. Eliot shares everyone probably writes 2-3 books worth of email every month. It is not this insurmountable goal. Instead of writing about a project you are supposed to do, you are making up a story. Eliot hears other authors share they have an extremely organized writing process. He interviewed a writer that runs his writing process like a software program. It is really impressive. Eliot is not like that. He does try, and has made efforts to set goals but it hasn’t worked. He writes when he time blocks to write. He has developed some rough rules. If he writes for less than an hour, in a given time period, he doesn’t really have to warm up. If he writes for more than three hours in a row, his brain melts!! Somewhere in the middle is where that magic happens and he is productive. If he writes less than a thousand words in a sitting he is sort of disappointed. If he writes more than three thousand, he deserves a cocktail or a truffle! He listens to instrumental music, works with a new desktop, full screen, with twitter off, and has a deadline to be successful. He doesn’t need the product development milestones, he has a goal to have the story done. This helps him to have an intuitive feeling inside to know where his characters are in their journeys. Lucas tells us authors spend 1-2 hours writing. Stephen King spends 4 hours a day working on his books. Some programmers write on the side an hour or two a morning. Lucas has little kids and stays up a couple of hours a night later to write. Being a programer, he is naturally a night owl. Alot of people that write, and have a day job, don’t work in writing. They work in a flower shop,do manual labour, construction whatever works. If you can not watch one or two hours of tv a night, you can write a book. Eliot meets so many people that want to write books, and now is the time, there are so many tools available to use nowadays. Eliot says, cancel Netflix and write your damn book”! Then you can go back to it and be successful. Stephen King writes because he loves it, it is a hobby to him. Most writers write because they love it, and do it as a hobby around their job. Eliot advises a number of Technology Startups. He does two to three at a time. They are usually between the seed and series c stage on finance and strategy. He used to work as an entrepreneur in residence in a venture capital firm. He was like a drop in operator and he would go in different startups and help them accelerate past their next growth mile. That is what he is doing when he is not writing. Uncommon Stock is a tech startup thriller about a pair of college students in Boulder, who drop out of City Boulder to start their first company. Their company is called Mosaic, and they are building a piece of software that is basically spell check for financial fraud. They could apply their analytical software to say the data The Bank Of America has. Enormous big huge piles of financial data and transactions from around the world. Mosaic goes through and using some advanced machine algorithms, highlights unusual activity that may be fraud. Once this product is released into the world it creates problems. They get involved in money laundering conspiracy with a bunch of super shady investors. This is sort of the whole series, it is a trilogy. If they were a garage startup in the first book, in the second they have an office and a team. They are starting to work with some large clients and are wrestling with all the tough challenges that entrepreneurs face and at the same times the stakes are rising. Lucas enjoyed how Eliot has weaved great startup advice as part of the story. The second book was more of a page turner and had more thriller aspects. If you are halfway remotely interested in startups, you will want to pick up this book. Eliot tells us that the characters in the series really grow through it. It is like a HBO series rather than a CSI. You will want to read the first book first. Everyone probably writes 2-3 books worth of email every month, it is not an insurmountable goal. Cancel Netflix and write your damn book!